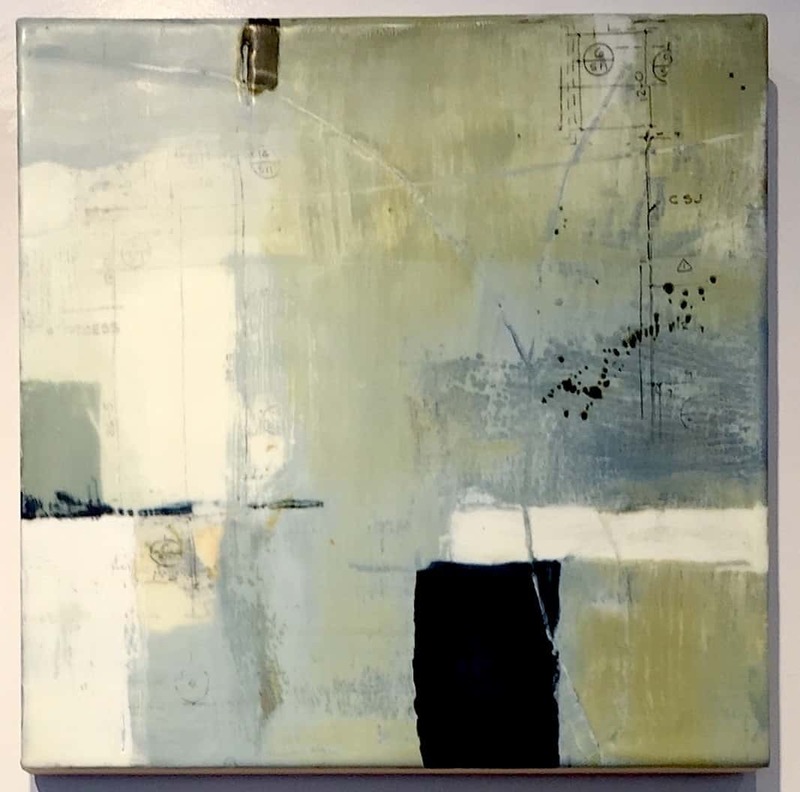 The art of encaustic has been around for centuries: it was used in the Fayum mummy portraits in Egypt, made between 100 and 300 AD; by the Mexican muralists like Diego Rivera; and most famously in recent art by Jasper Johns in his “Flags” and “Targets” of the 1960s. 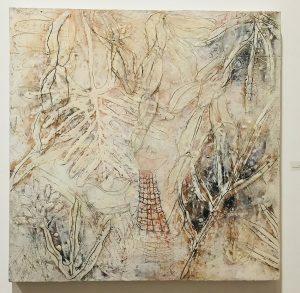 At its simplest, encaustic painting involves using heated beeswax to which pigments are added. The liquid or paste is then applied to a surface, most often wood or canvas. 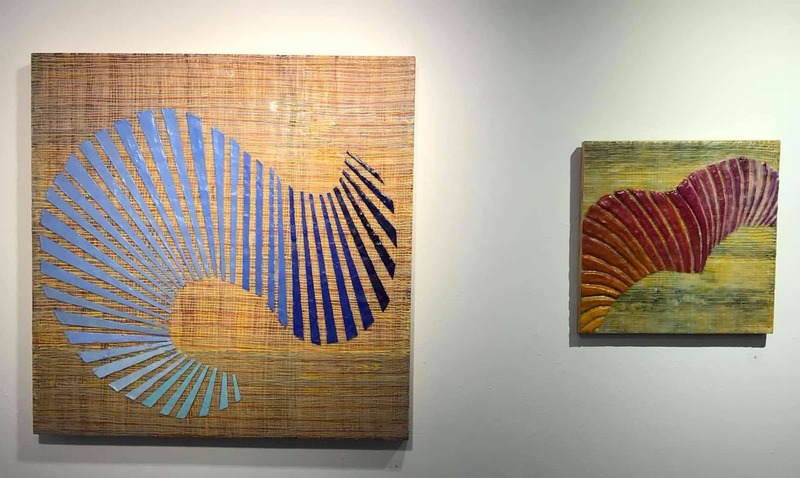 But it is an endlessly versatile medium that invites experimentation and has attracted the talents not just of painters and printmakers, but of sculptors and photographers as well. 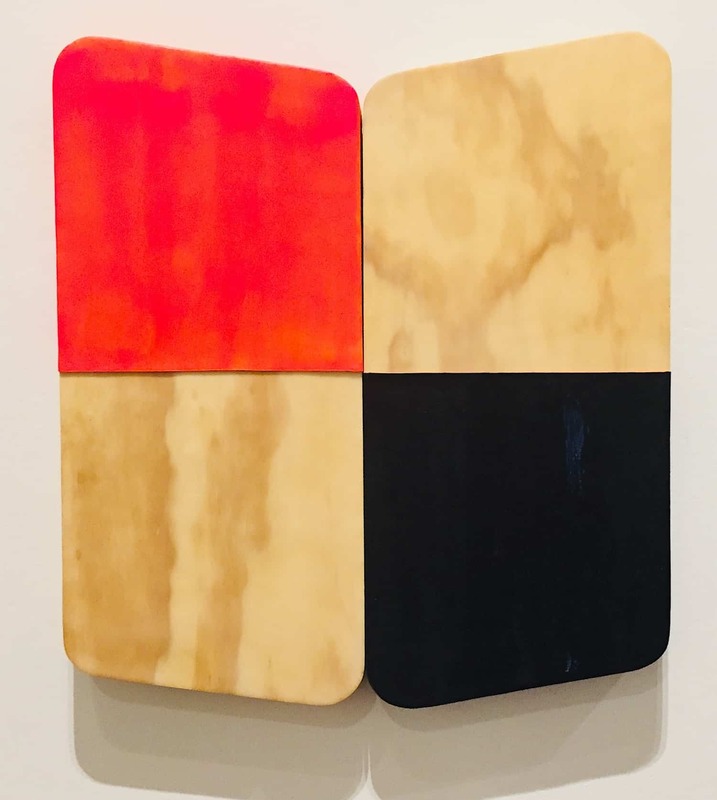 To take three very different approaches, Joanne Mattera uses hot pigmented wax to build up transparent layers in each of her luminously minimalist “Silk Road” series. Ruth Hiller combines encaustic with wood panels to create paintings with a sculptural presence. And Jane Guthridge, whose work can be seen at the end of this post, often uses a variety of materials such as wax, thin sheets of steel, paint, mulberry paper, and Dura-Lar. Many other artists, like myself, have been drawn to encaustic because no other medium can express their ideas in the same way. 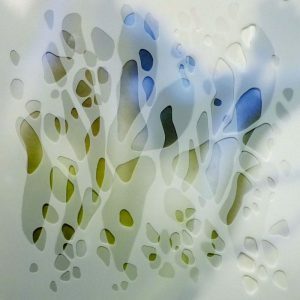 Every year at, the beginning of June, I pack my car with art supplies and paintings and drive for ten hours to Provincetown, MA, to participate in the International Encaustic Conference. 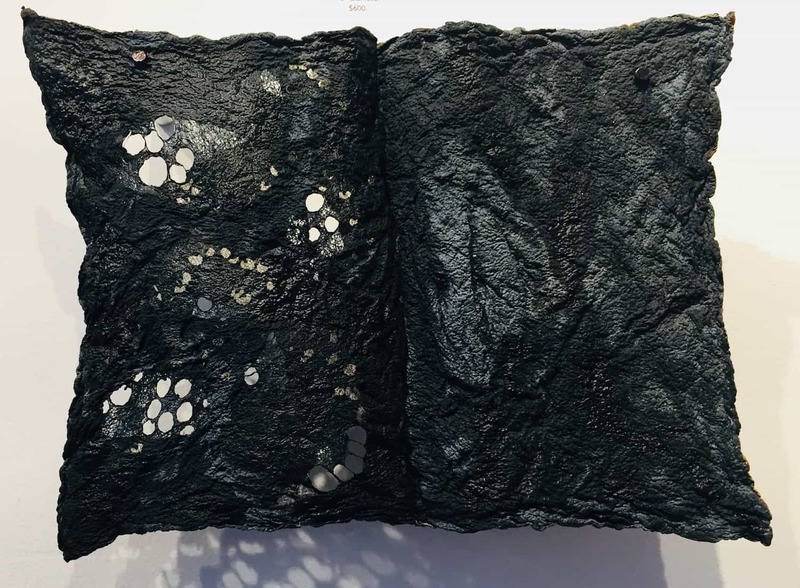 For a few days, Provincetown becomes the heart of the encaustics world, the place to see artworks in galleries and museums, and to engage in discussions with other artists, gallery directors, and community activists. In addition, I watched and participated in workshops dedicated to using encaustic at the most sophisticated level. 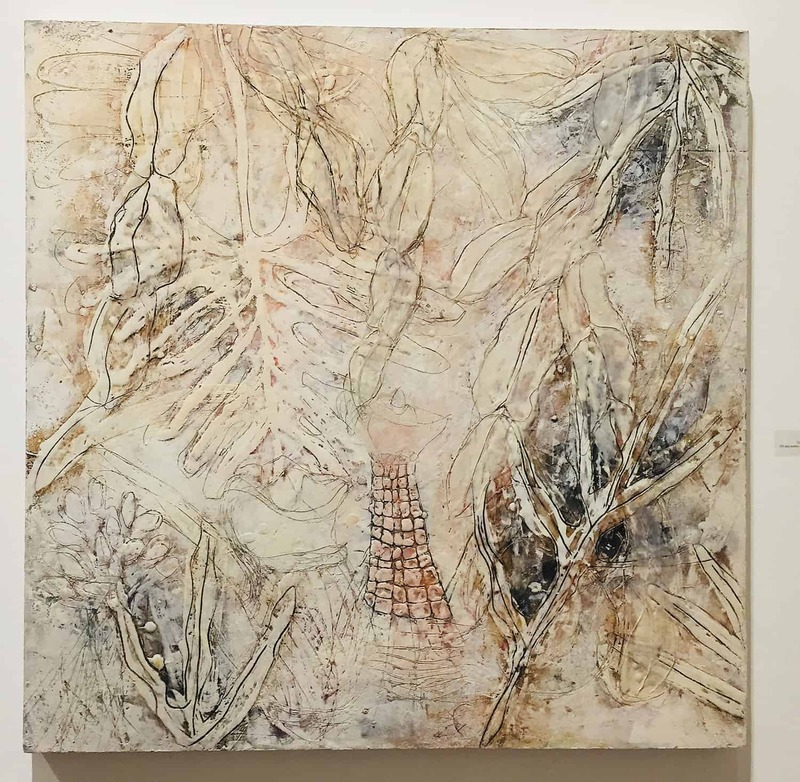 The conference director, Cherie Mittenthal of Truro Center Castle Hill for the Arts, took over the reins from Joanne Mattera, who founded and directed the first 10 International Encaustic Conferences. 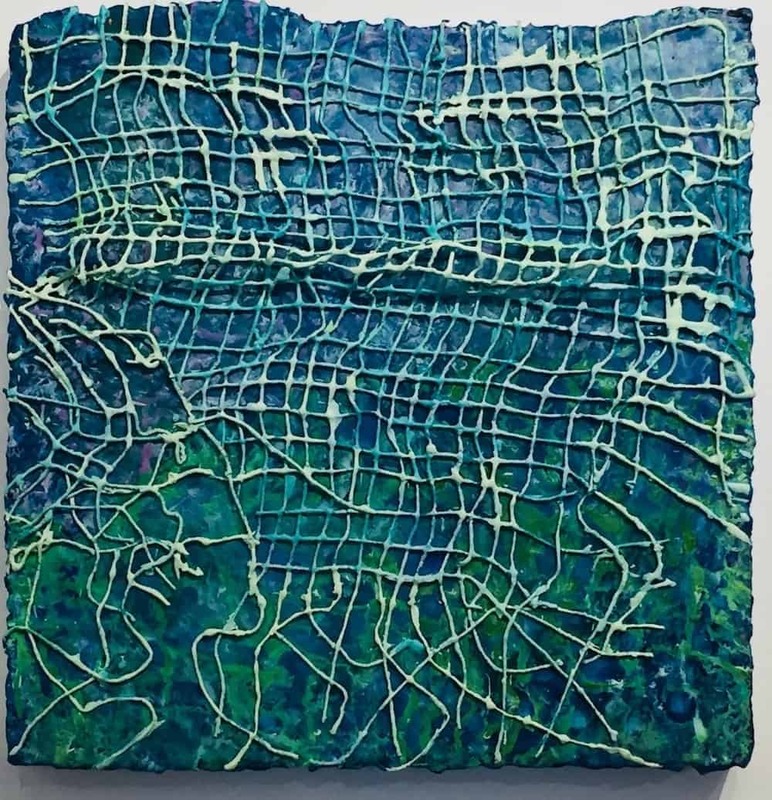 The 12th conference was held June first to third of this year and featured talks on critiquing encaustics, on contemporary photographers, and on systems of grids in encaustic. There were also discussions focused on curatorial thinking and collaborations in the artistic community. On a more practical note, artists gave demonstrations on the “perfect” pour, using the cyanotype process, ways to be successful on social media, and subjects like alternative surfaces, aqua dispersion, and layering hot pigmented wax. 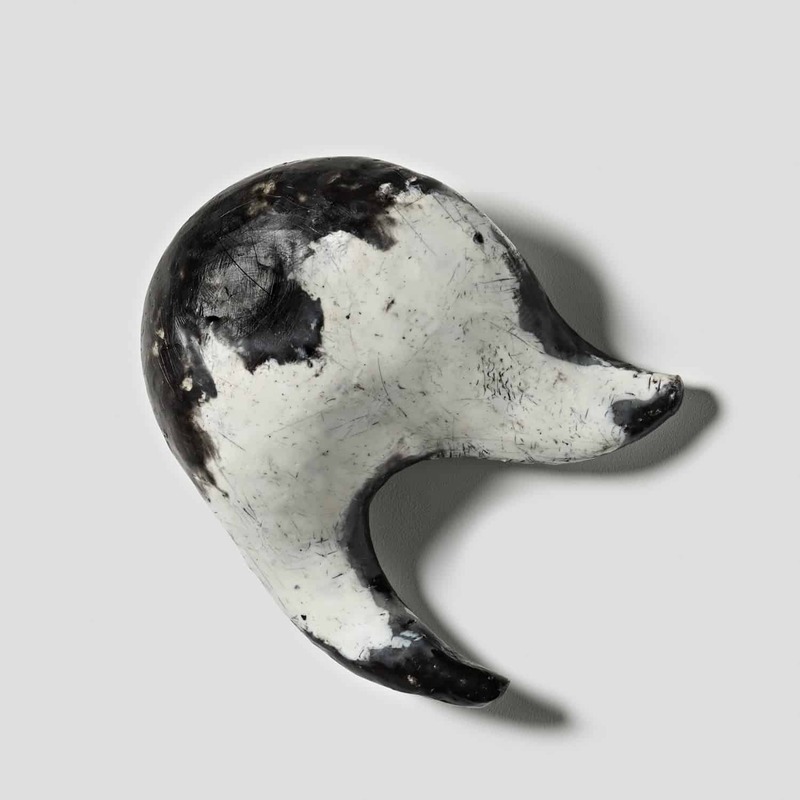 On Friday night, six galleries offered the following exhibitions and openings. 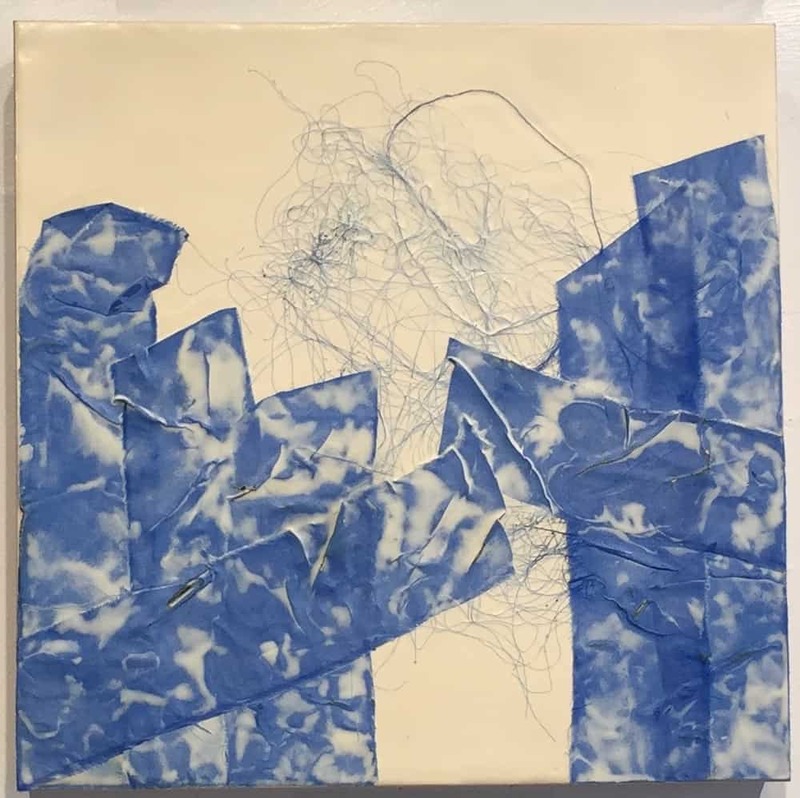 Among the highlights were Castle Hill Gallery’s juried exhibition on the theme “Trans.” Artists were challenged to create artworks that expressed ideas related to meanings of “across,” “beyond,” “transverse”, “gender identity,” “transparent” and so forth. 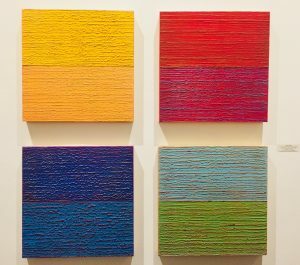 Artist Tim Doud selected 22 artists for the show. At the Provincetown Art Association Museum, Carol Pelletier curated “Organic to Geometric: Investigation in Structure and Surface” This exhibition represents a group of nationally known artists–three of whom are seen below–who have spent many years developing their technique and style while utilizing the complex but versatile medium of encaustic. Adam Peck Gallery located at 142 Commercial Street in Provincetown held “The Blues.” Marion and Adam Peck invited 47 artists to interpret the theme, four of whom follow here. 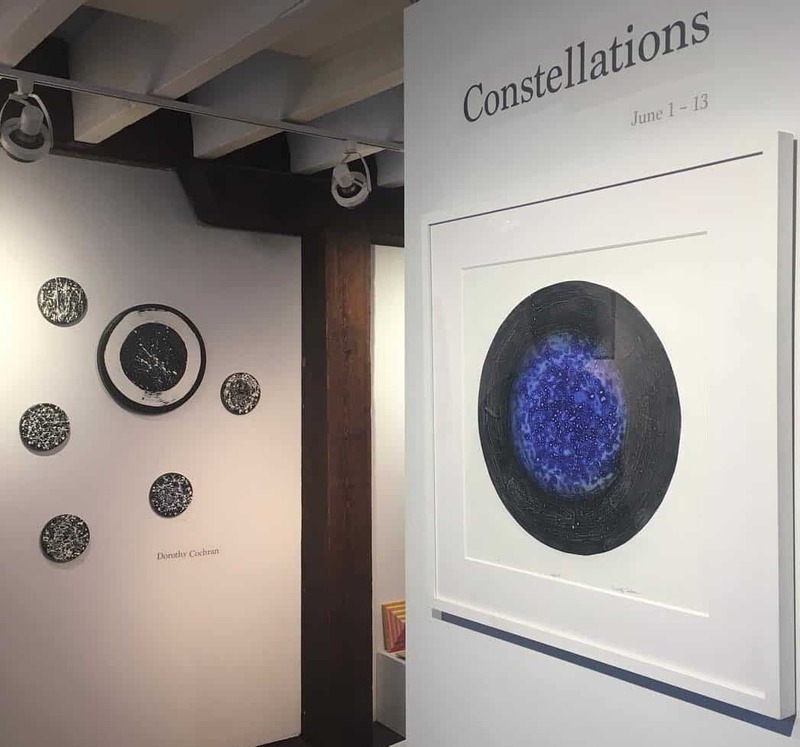 And Julie Heller Gallery hosted “Constellations,” an exhibition designed by Dorothy Cochran and Lynda Ray. Cochran showed new monotype prints, and Ray showed geometrical bands of bright colors over backgrounds of intersecting fine lines. We do not call ourselves encaustic artists or wax artists. We are artists using encaustic because it is a medium that best expresses our intentions and interests. 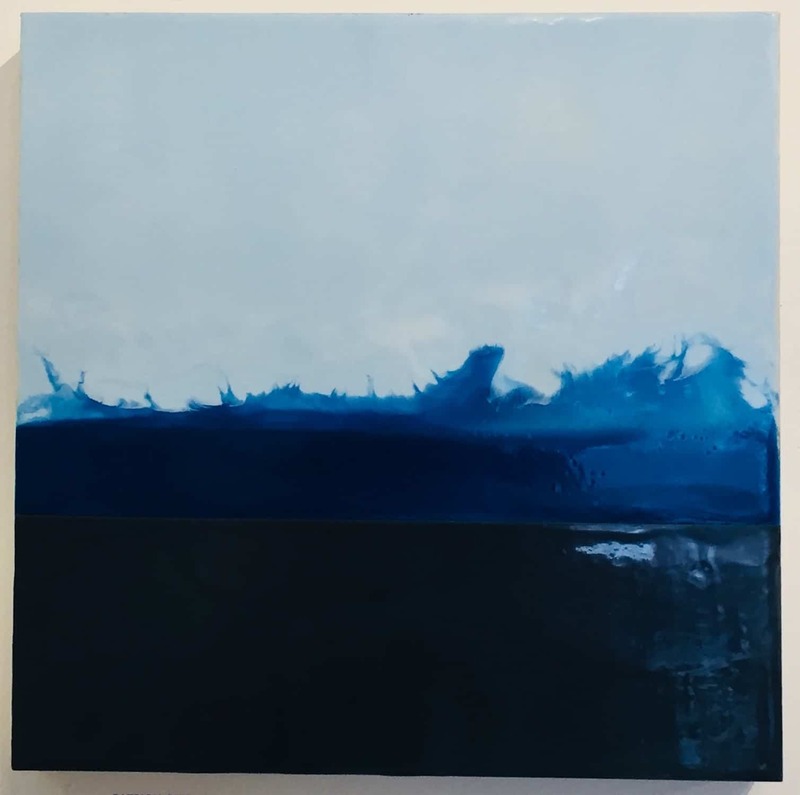 Many of the artists I saw in the galleries in Provincetown work in other media, but after seeing such a varied range of talents, I wondered why artists would choose encaustic over another medium like acrylic or oil paint. What is special about the medium? So I asked a number of artists why they chose to work in encaustic—is the medium critical to the message? 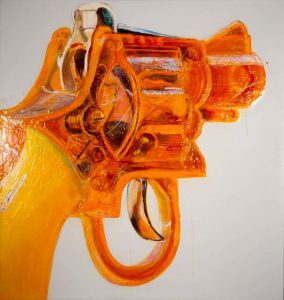 For Beverly Rippel, who has painted a series of large-scale plastic cap guns, encaustic is “the only way” she can place a transparent, jelly-colored “plastic skin” over the toy’s working innards. “What is presented with the pigmented beeswax is an alluring, cathedral-like structure that allows a viewer to enter into the gun’s chambers,” she says. For Jane Guthridge wax equals light. “I am interested in its transformative abilities. 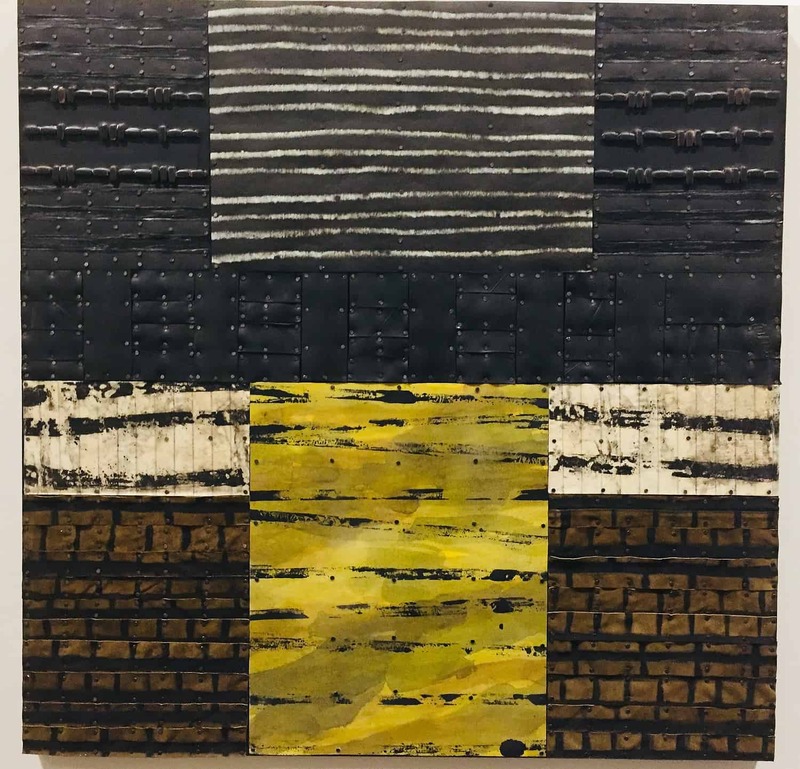 I am drawn to encaustic for the way it holds and almost seems to suspend light.” Her inspiration comes from the changing light and patterns reflecting on forms found in nature. Since retiring from the art department at California State University, Sacramento, in 2013, Anna Wagner-Ott has been a full-time artist and maintains a studio in Barry’s Bay, Ontario, Canada. 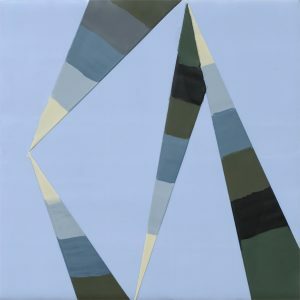 Wagner-Ott is known for her series of paintings influenced by textiles and woven structures and has exhibited at at the National Exhibition in Fredericton, the Robert McLaughlin Gallery in Oshawa, the Guild Gallery in Toronto, the California State University Union Gallery in Sacramento, and the Fine Art Centre in Sacramento. Nice overview of some of the many ways encaustic is being used these days. It really is an amazing medium, unlike any other. Thanks for including my work in such good company! Thank you Anna, Great images and writing. Many thanks to Anna Wagner – Ott for writing this article and Ann Landi for including my work. It is an honor to be shown with these artists, and also to be in the company of so many more artists working in this creative community. it was my first conference and I had so much fun meeting all of you. This is a great overview, minus the dancing boys!